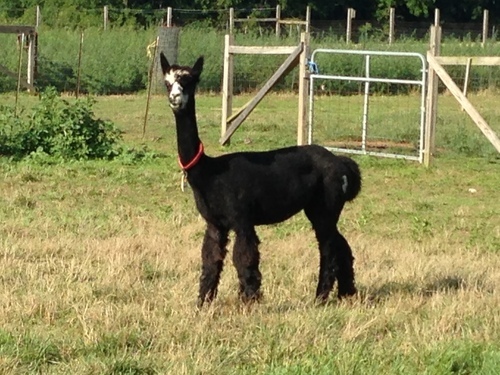 Asmerelda is a female, bay black, huacaya alpaca. She is from the Sukee von Tr blood line. Sukee is a fiber champion. 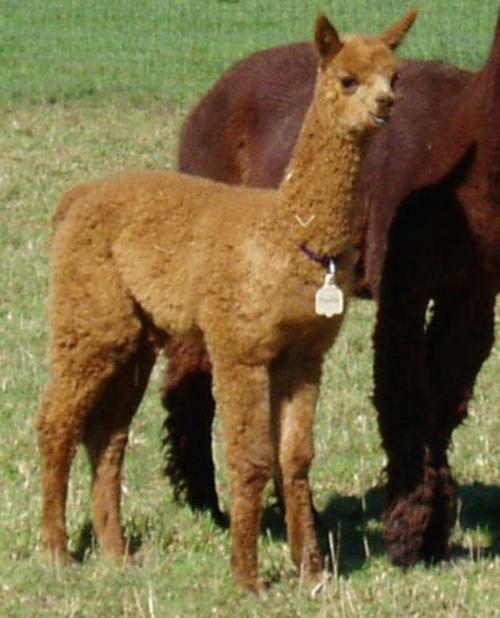 Asmerelda’s offspring also carry this champion’s very fine fiber some of which are as low as 18.3 micros. 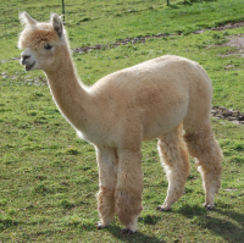 Asmerelda, even at the age of 12 years old, she has held her micro fineness at 25.1. 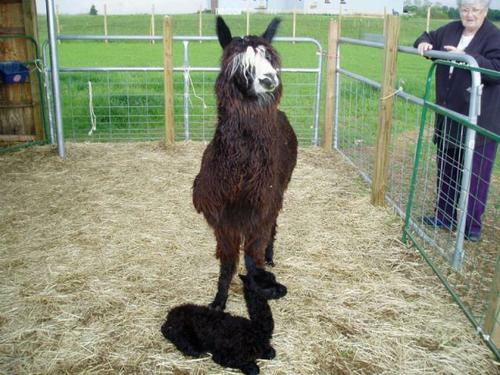 She is a good mom with plenty of milk for her cria and has given birth without assistance time and time again. 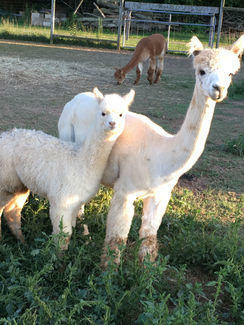 She has produced all sorts of colors, such as: true black, medium fawn, medium silver gray, and dark brown. 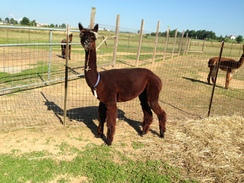 Asmerelda is gentle in spirit and walks on a halter. 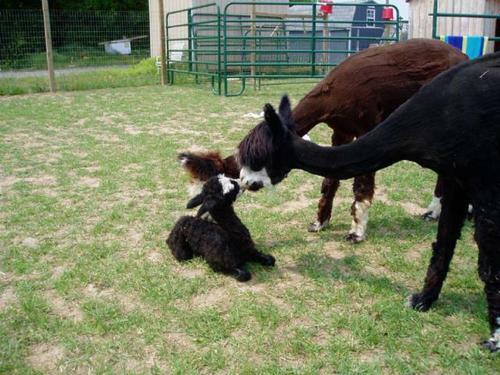 She is easy to doctor on herd health day. 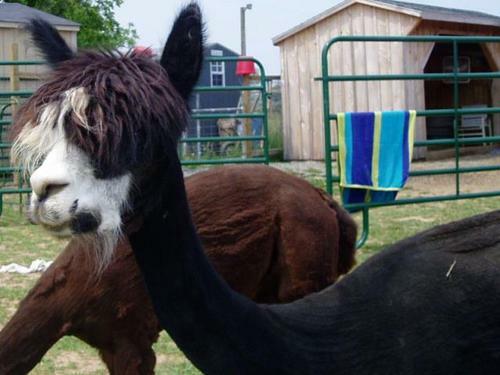 She has white around her muzzle and some black that looks like a mustache. 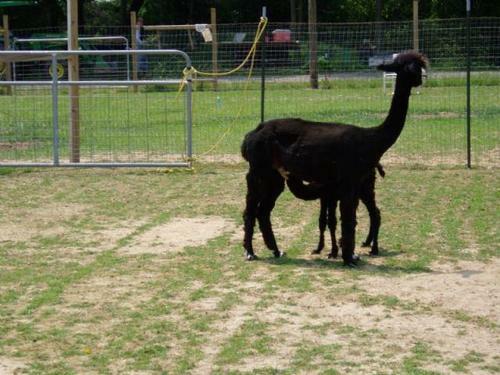 She has white on her back hind that looks as if someone with white paint on their fingers painted it there. 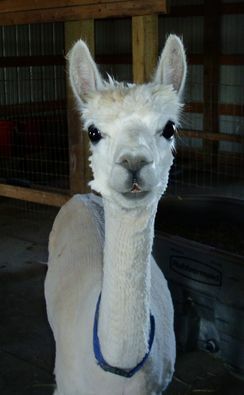 Call today 717-359-9989 Quarry Critters Alpaca Ranch to schedule a visit to meet this gentle loving mom alpaca, Asmerelda.